When it comes to growing vegetables in the garden, most people choose carrots whether they’re beginners or experts and this is because they’re easy to grow. As long as they’re placed in deep soil, carrots are tasty, full of beta carotene, and can be used in a number of recipes in numerous ways. If you haven't yet been won over by the carrot, around half a cup provides you with the recommended daily allowance (RDA) of vitamin A FOUR TIMES over. With the nutritional benefits they provide and the fact they’re so easy to grow and cook thereafter, we should all embrace the carrot this year. 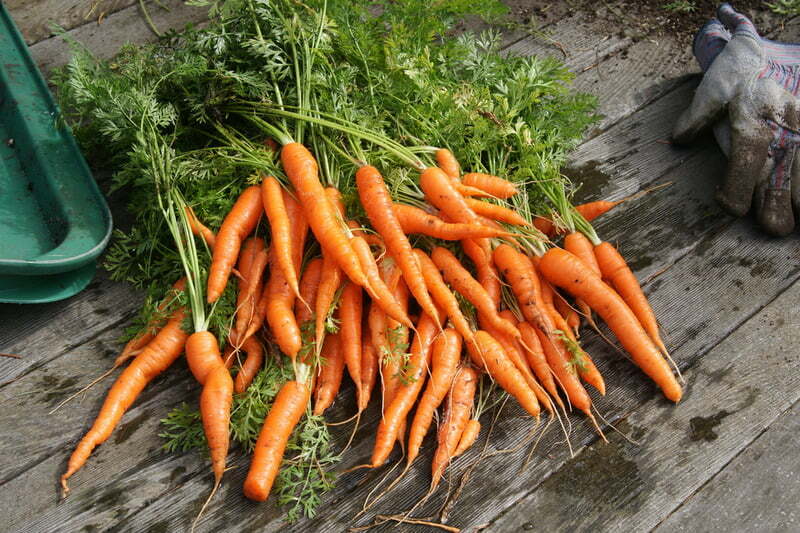 In most mild climates, carrots can grow nearly all the way around the calendar so long as you plant them in succession while utilizing heavy mulch. If you follow the right steps during the winter, the cold temperatures shouldn't affect them too much and they’ll be ready to harvest as normal. If you have heavy or hard soil, we advise short varieties because this will allow for the best return when it comes to harvesting…which is a topic all on its own and one we want to discuss today! In the past, we’ve spoken to several people who harvested their carrots at the wrong time and it led to them giving up on the crop completely. For us, this is sad because, in case you didn't notice already, we love carrots and everything they offer. If you’re to get a positive crop, you need to know when the carrots are ready and we have some advice. 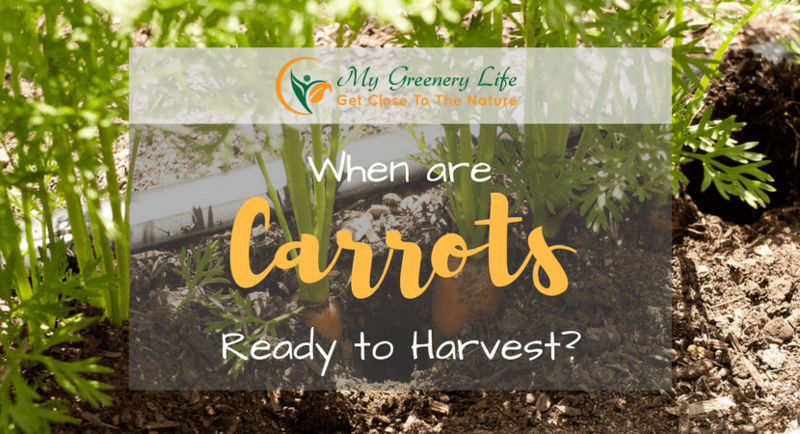 Generally speaking, it takes just 50 to 60 days for baby carrots to be ready after planting. For mature carrots, this should take a couple of weeks longer and we advise around 75 days. However, we can’t always rely on the calendar and this is why you should be looking for shoulders offering a diameter of between 0.5 and 0.75 inches. Of course, this can be adjusted depending on the variety, but we’ve found this to be a good rule of thumb. How Should We Harvest Carrots? To start, make sure you write down the planting date somewhere you’ll remember. From here, you can calculate some rough dates using the information we’ve just provided. For the smaller carrots, make sure you check on them sooner; count ahead and mark a date on the calendar so you don’t forget. When the time comes, gently brush the soil back a little so you can see the thickness of the shoulder. After this, you can measure; remember, anything over 0.75 inches is absolutely fine, so don’t panic just because it isn't within the range we offered previously. This being said, anything under half an inch should be left a little longer. If you think the carrots are ready, you’re going to pull some test crops from the ground so wet the soil first and let it soak in a little. When the soil is moist, this makes it easier to pull the carrot without pulling everything else up around it. Next, dig around a couple of carrots to check the roots and their size. 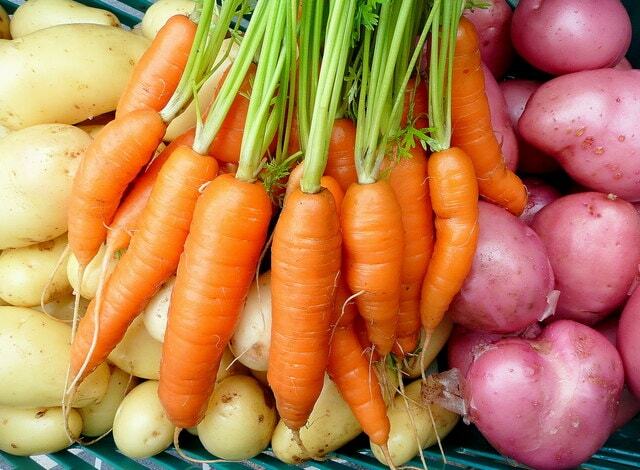 If you have a fork or trowel, loosening the soil slightly will allow you to pull the carrots easily and you don’t have to worry about separating the green tops and the root itself. Once you have a couple of test carrots, measure the size, assess their condition, and make an assessment compared to what you’re looking for with that type of carrot. Typically, standard carrots will be ready when they reach at least seven inches while the half-long variety will be smaller at five inches. If they fall within the expected size, you can be confident that the remaining carrots will all be ready. As you may have noticed, we suggested pulling two or three carrots from the ground as tests and this is important. At first, people don’t like to pull more than one because they feel as though it’s a larger waste if they aren't ready. However, the reason why we pull more than one is to remove the likelihood of pulling an anomaly. If we pull one and it’s perfectly ready, what happens if we dig the whole lot only to find it was one of the rare 10% that was ready? Whenever you pull two or three carrots, you get a better idea for the whole lot. If all three are ready, you can be fairly certain they’re all ready without checking them all individually. If one is ready but two aren’t, this suggests they need just a little more time before harvesting the whole group. Furthermore, you also need to consider how much you can use within the next month or so. For the most part, carrots can be left in the ground for up to four weeks after reaching their maximum growth level; in the winter, this’ll be even longer. When calculating your harvesting plan, make sure all the carrots have been removed in time. Of course, you’ll also need to harvest before the ground freezes over in the winter. Additionally, there’s something not many people know and it’s that you should never keep apples and pears within the same vicinity as carrots. With these fruits, they actually produce a gas over time and this impacts on the taste of the carrot; they’ll eventually taste rather bitter. If you so desire, there could also be opportunities to can, pickle, or freeze the carrots and they’ll then last for months. There we have it, your guide to harvesting carrots. If you follow the advice we’ve provided here today, you should be in a great position to enjoy crunchy and delicious carrots for many years to come! Lawn Mower Hut writes on a variety of gardening and lawn care topics to help people who are in the process of buying gardening tools make a more informed bu­­ying decision.